Spoiler Rim Balances Lift, Creating Straight & Accurate Flights Soft Rubber Cushion For Comfortable Catches Thrown Twice As Far As Other Disc Products. 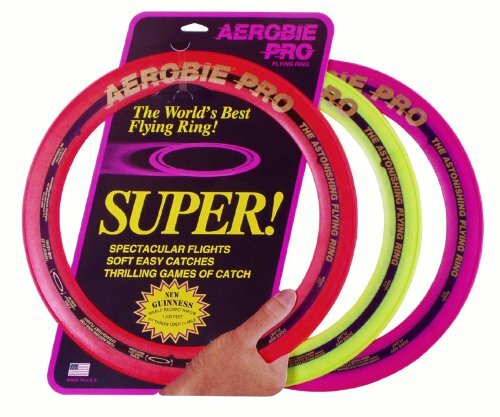 Our Pro Ring set the Guinness World Record for the farthest throw. This ring features soft rubber edges for comfortable catches and awesome throws. Fun for the entire family!